Radico Khaitan's Rampur Single Malt will be launched in the UK in October. 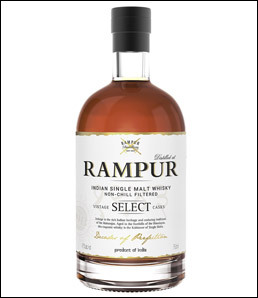 From the foothills of the Himalayas, Rampur is distilled in India's oldest distillery dating back to 1943. Sanjeev Banga, president of international business for Radico Khaitan says: "Rampur is for the discerning single malt consumer. Single malt consumers prefer uniqueness in the taste. They are always keen to try a new malt. Rampur is different yet pleasing."